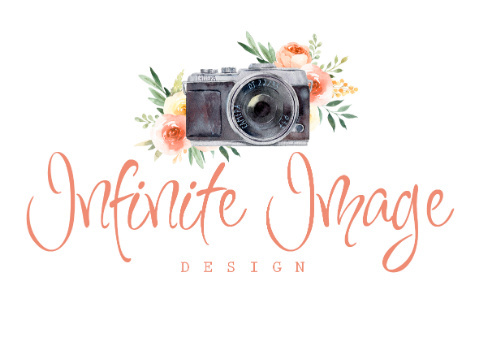 Infinite Image Design is a photography studio focused on creating images that capture memories. I am a boutique-style studio that specializes in customized, unique, and original images. I love high contrast black & whites and saturated color images along with contemporary perspectives that convey emotion and personality. I also love the vintage look and feel along with real lifestyle photography. ~ I grew up on a crop farm just outside of Charles City, IA and I just moved back in 2018 after building our dream home on the farm! My husband farms full time and I help out in the spring and fall too! ~ Hawkeye Community College graduate with an AAA degree in Professional Photography with my degree specializing in Portrait & Wedding Photography. ~ I LOVE to go camping! ~My family is my world! ~I have a silver lab named Boomer! ~I am a fitness junkie. I love lifting weights, cardio...not so much, but I still do it. ~ I am a lover of junkin! My best friend and I go to to multiple craft/junk/re-purpose shows a year looking for unique finds! ~ I am a big fan of the Farmhouse decor/look! ~ I actually don't have a favorite color like most people, I like them all! ~ I randomly stop when walking to take in the interesting things in this world, which drives my husband crazy. He will be 50 ft ahead of me before realizing I stopped! ~I love to meet new people!